hi. how much is your room rate for the matrimonial ? or do you have promo? Hi! 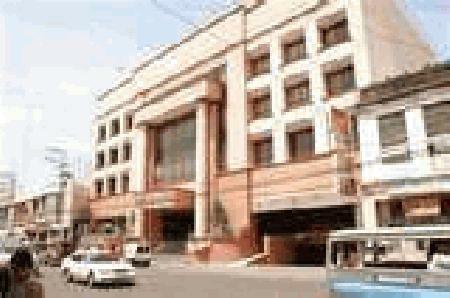 can you send me info about wedding packages Iloilo Grand Hotel offers good for 50 people. Thanks. hi! kindly send me an info regarding your wedding packages...thanks! hi! can you please send me info about your wedding packages being offered good for 60 persons. thanks! Hi we are currently having a rainy days promo @600PHP only available for walk ins only! Come and experience ILoilo Grand Hotel! can you send me set of your menus you offer for a wedding, and the price per head? please send me quote for accommodation rates and type, for 3 persons, 2 adults and 1 child on 22 march 2012 to 25 march 2012, ASAP pls. Please send me your rates for 71 pax. 2 nights. Hello! Pls. send me accomodation types and rates. I'll be with my husband and 2 sons. We'll be staying on Dec. 26-30.
i just want to ask how much room rate..thank u..
Hi can u send me your wedding package because I'm planningto getmarry this coming May2011. Hi good day, could you please send me your debut packages for 50 pax and menu's as well. much appreciated for you reply.thank you. can you please send me your birthday packages good for 40 person.thank you. good pm...ill be having an intimate wedding on 12-12-12...good for 50 persons only..can it be possible to hold the wedding itself at ur hotel? thanx...plz send me ur packages...God bless! please email me your wedding package good for 100 pax & what are the inclusions. i book in agoda, and the confirmation told me that the voucher will be sent to me after 30 minutes..but i waited for 4 hours now but i didnt got it..i will be staying on july 15.thank you..pls answer my comment pls. Good PM, may I know the rate of the presidential suit plus dining and living room daily rates and what is this all include how many beds inside the room and the sizes? Can u send me the accomodation types and room rates? I'll be staying on August 17 - 19, 2011. Thanks you! hi! can you please send me your wedding package + the rates for 100 to 150 persons.you can just reply in my email.thnaks a lot. hi! can you pls send me the rate for wedding package for 300 person pls. Do you have promo rate for May 25 to 28,,,Matrimonial bed pls? can you pls send me some room rates? i just need the cheapest one,, for 1pax only..
A Happy Moment Turned Into a Disaster 18th of March 2011, Friday in a Hotel at Iznart Street Iloilo City It was a humid day but all I can see were happy and excited faces. I sensed that today will mark another chapter of my life; I’m not just sure if it will be a good or bad chapter though. The warm atmosphere gently sank in me and my feelings were heightened when I saw several familiar faces. As the hotel’s lobby was quickly filled with people, I started to get uncomfortable and just wanted that everything should start and finish right away. The function room then opened and keyed up people started to rush inside and tried to grab a seat. This was the time that we’ve been waiting for, the time when we will have the chance to take our pledge formally as certified nurses of the Philippines. This was our first step towards the battleground for nurses, encountering a different environment of competition. The program started well and went smoothly. I had a chance to talk with several old friends and I enjoyed hearing their stories and sharing mine as well. Maybe just an hour or two before the program ended, meals were served. People were so busy with a lot of things especially with eating. That sounded like fun right but the sad thing was there were many people who still don’t have their meal and haven’t eaten yet. Unfortunately I belonged to that group. I started by just waiting patiently on my chair. After that, I tried to make a joke regarding the situation so that people won’t feel uneasy. Afterwards I felt that there was really something going wrong. I then stood up to get the attention of some of the service crews. The one giving the food asked us if we can still wait for a while and we just replied with a yes politely. Several more minutes passed by but nothing were served to us. Now I can hear several angry people and I do have a clue why they were angry. About 20 minutes after, still no signs of something to be served yet. We then decided to go to the kitchen and checked out if there were really meals prepared for us. Somebody said that they weren’t expecting quite a huge number of guests so the foods that they prepared were not enough. We waited at the kitchen’s entrance together with the other hungry guests. I was in the front most of the line but I was wondering why those guys were not giving me anything. I just let it go for a while but after several batches of giving food to other guests without them giving me any I then got angry. It was as if they were making me look stupid. They were sort of pretending that they don’t see me even though I’m quite a big guy. I wasn’t able to contain my anger any longer so I asked them for someone whom I can complain to regarding their service. Without getting any response from them I instantly felt my feet and hands shaking and my chest having the sensation of bursting in any moment. What I did then was I went to the hotel’s front desk and look for the manager. I told the three women who were there that I can’t stand the not-so-good service that they have, that I don’t care with the food anymore and that what I want was for them to be aware of the hotel’s poor service. Immediately I went out of the hotel so as to avoid any more trouble. It wasn’t the first time that I experienced such bad service from them. I really just wish that they can do something about that for them to give better service to their customers. What if tourists would also encounter such treatment and service from them? Will tourists just hate us or even the city just because of such practice? I really do hope that this will be an eye-opener to them. To the management of Iloilo Grand Hotel I’m one of your dissatisfied customers for the second time around. Hello! could you please, send me the quotation for baptismal package for 100 guest. thanks!.....greatly appreciated. hi, pls advise your family room rates (2 adults w/4 kids). thank you. Please send me your room rates. Thank you! hi!can u send me your wedding packages and menus and also includes room rates..thanks a lot.. Please email me room rates on January 21-24, 2011.. Thank You!! Hi. Please send your wedding packages asap. Thanks. hi! i just to ask about the room rates, this coming December 21 and 22, 2010..can u email me asap so i can make a reservation in this place..thank you.looking forward for your response. please email me your room rates asap..thank u..
greetings! please send me your wedding packages...thank you. can you give me your government rate for 200 pax scheduled on November 18-19, 2010 .. thank you and good day! hi could you please send me the room rate for 6 people-- this is for oct809, 1 night only. thanks.. email me please. hi!can you please email me your wedding packages and menus..thanks you. good day!..pls send me ur wedding packages most especially on the catering services..thank you! Hi! Can you send me the room rates? Thank you! Nandyan daw si Alakim sa October 1. Hi! Could you send me details on your wedding packages? Please and thank you..
please send me an email regarding your wedding package!!!!!! thank u! can u send me an email about yuor wedding package? please! thanks! can u pls send me room rate good for 3 pax? We need a room for 2 (2 singlles) with a/c and T&B on Dec. 17-20 inclusive. Kindly provide us your room rate, thanks. Pls. send me room rates for two person. And if possible can u send me picture of the said room. pls. send me the rates and aminities of your facility..thxs..
How much is the room rates which can accomodate a single person? Just an inquiry. 1) Do you have a group room for 10 persons and how much is the rate per night? or 2) Good for 4 persons? Hoping for your immediate response on this matter. Thank you. Kindly qoute a single bed - room for me & wifey, check in after 12 noon on 02 July & check out before 12 noon on 05 july 2010. Thanks! Please send to my email add your room types and room rates, the MIAP group wl be there on July 8 up to 10, 2010.Thanks. Also want to know accomodation type and rates pls. i wud lyk to ask about ur wedding package deal offer.wat r the coverage of ur package deal.? how much does ot cost? gud 4 100 persons? May i know your available room (and rates) for a group of 4 on May 22? Greeting! hi, can u send me or email me the room rates for 2 person only. thankz. maam,ask lng po ako sana f dyan pa ba c maam jodi kc kukuha sana ako ng certificate q po. wala pulos ma ni nga hotel man!!! !Guba tv namon sa room sa igh!!! I would like to request for single room double bed reservation on 15 March 2010. I will be the guest and 1 other person both of us male. hi. can i request for your wedding package rates. appreciate if you can email it to me in my email add. thank you. Hi! Can you please send me your hotel room rates? Thank you! hi can i get the list of your room rates? and how far is it from the airport and sm city? Pls. email me room rates 17 dec. evening 2 person pls. send asap. May i know the room rate for a single occupancy aircon room with private bath and tv. I need to make a booking tomorrow. Could you give me a copy of room rates for single occupancy? You have to post your room rates here...what is the use of this site anyway..its a waste of time.. Please send me room rates. thnak you~! pls. eamail your roomrate to me for double bed at 12hrs rate only. hi! can u pls send me ur wedding packages? pls email me your room rates for couple and family rooms, including breakfast if its available and reservation fee. im looking for a place to house my family and friends during my wedding next year. schedule is feb 13-15, 2010.
please send me your room rates. There are 3 of us and will be staying for 2 nights. thanks! We want to know your room rates good for 2 person. We will arrive on August 28,2009. pls give me options for the room rates plus the other fees. I want to reserve as soon as possible. or pls txt or call me @ 09205825658. thank you! We are eight persons going to Iloilo on Aug. 12, 2009 and will check out the following day. Could you please send me your room rates on this date. Thanks! How to make reservations for Aug 29? How much is the room rate?Good for 3persons plus 1 bed? I just want to inquire a room good for two, over night only on august 9. If you have promo and cheap price pls..... What are the inclusion of the room rate? its so nice and cozy staying in your place. NIce service and facilites. hi..can u send me ur room rates for single occupancy..for july 08, 2009.. ASAP pls. Thank u..
how much is your room rate for 3 persons to stay overnight, on April 26.
reservation for one,, how much is the rate per room? pls send me room rates,ty! good day! my son is one of the attendee for MTG in house traning on April 03 to 06. I'll be with him so i plan to check in on same hotel. pls. send me your room rates. thanks! Do you still have available standard twin rooms??? For April2-7?? please give us rates for an overnight stay from april 5, 2008 good for 6 adults and 2 kids below 12 yrs. please reserve one(1) room---businessman's suite(single) on April 2,2009 until April 7,2009 for the MTG MCFKTP... thank you! Please send me your room rates, April 2-6, for the MTG In-house training program. THANKS!!! Please send me your room rates. I am planning to accompany my 9-yr-old daughter who is going to attend the MTG MCFKTP on April 3-6, 2009. Please send me room rates for possible check-in on April 2, 2009. Thank you. Please book me a room On Mar 29 to April 1. My son will be attending the MCFKTP. Pls send me rates and confirmation. Looking forward to your reply. please book us on Apr 02 and checking out on April07 for 2 persons the most. thanks. can u send me the accomodation types and room rates? We're staying on March 28- April 2, 2009. Thanks! Do you have available standard room on March29-April1 for the MTG Math Challenge? How much is the room rate? Is the rate inclusive of breakfast? How far is the hotel from the airport? Can you please send me room rates and location? can u send me your wedding packages? for 200 pax. pls mention the inclusives. hi can u send me a room rate? ..nice food,nice service with beautiful people. hello, can u pls send me ur wedding package? thank you! hi. Kindly email me your wedding packages. thank you! Please email me your room rates for February. Thanks. its so nice to stay......!!!!!! can u send me your wedding packages? for 50 to 100 pax. pls mention the inclusives. kindly send me the room rates.thank you! Greetings! can u send me the accomodation types and room rates? We're staying on Jan. 23-27, 2009. Thanks!